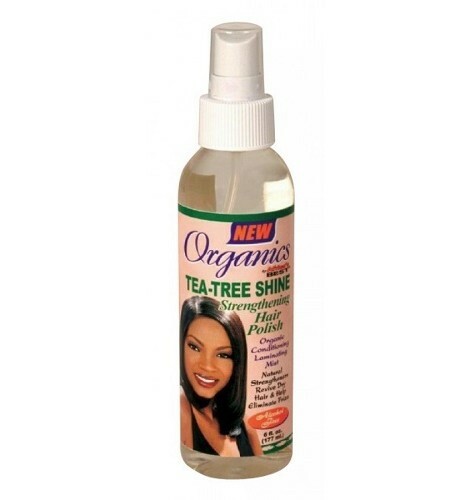 ORGANICS by Africa's BEST Tea-Tree shine STRENGTHENING HAIR POLISH. Say goodbye to dry, frizzy and weak looking hair. Make hair stronger and lustrous with longer-lasting shine. This unique hair polish is formulated with all-natural conditioners that penetrate and strengthen the hair. Contains NO ALCOHOL or MINERAL OIL.